What's new from you guys this week? 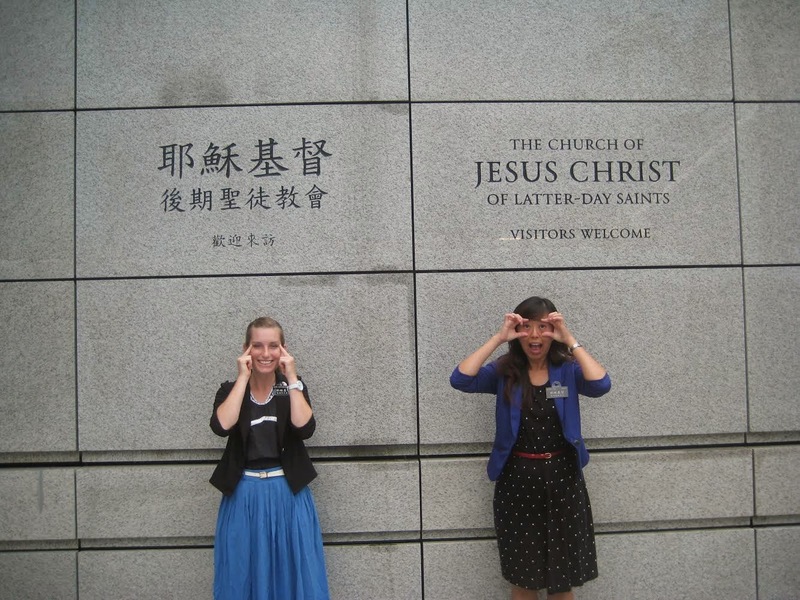 So I went to the temple today which was really nice. Since missionary life is always on the go, I really appreciate time when I can sit down quietly and ponder. Where else is better than doing that in the House of the Lord, right?! I met this cute friendly old lady in the temple. She asked me where I was from and I told her I came from Malaysia. She saw my surname is Chen which is same as her in Chinese, she gave me a hug and pulled me aside to tell me that we would like to give me and my companion a bag of cookies that she made. I was a little surprised and unexpected that but gratefully accept. Then later I found out she happened to be my trainer's trainer, SIster Su's grandma . I don't know why she chose to give our companionship the cookies but that is sure a bonus treat going to the temple this time. Lately I have been feeling so rush with everything that I don't really have a lot of time to think what has really happened that day and what has I learned that day. I don't really like this feeling. I'm grateful for this movecall being with Sister Worthington though because I learned that when I rush, I stress and make me feel low spiritual. At first I thought this is one thing that I need to get use to being on exchanges every week with different sisters, then I realized if rushing actually make me feel less efficient, why do I want to plan for such a tight schedule that make me feel stress? So I decided from this week on, we will plan better that allow us to actually have time to BREATH! Well, I run out of time again. Hope you guys have a great week.